I have to admit, I’m a bit of a banana hoarder. I don’t buy them as often as I probably should (my life could probably do with a bit more potassium in it…) but then I’m so picky about consistency when it comes to fruits and vegetables that once they look or feel a bit too ripe it’s straight to the freezer with them. I then end up with a gallon bag or two with brown bananas ready to become something new. 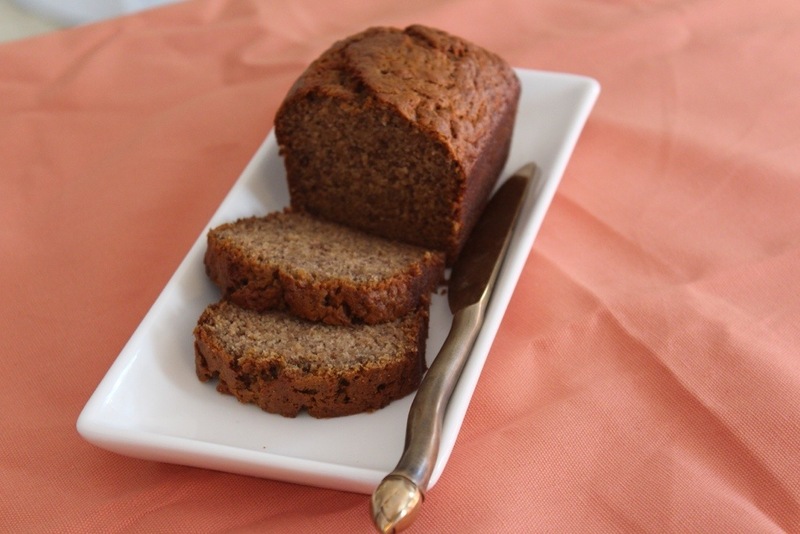 After a great deal of searching I found something that I didn’t think I’d tried before- adding spices to banana bread. It seemed like a ballsy choice, but I didn’t really have anything else that I wanted to shovel to do so I went for it. In a large mixing bowl, take a potato masher, or other large implement that can be used to smash as well as incorporate other ingredients. 1. Smush bananas until they are fully broken down. Add in butter, sugar and eggs, and vanilla fully incorporating each one before adding the next. 2. In a medium bowl, combine all dry ingredients: baking soda, salt, spices and flour, and sift into wet ingredients until fully combined. 4. Lightly grease loaf pans (I used a 4×8 and two mini pans but this recipe will fill two larger 4×8 pans) and fill to just below lip of pan. 5. Cook at 350f or until you can do the toothpick test and have it come out clean. This time varies depending upon your oven, the size of the loaf, ecc. 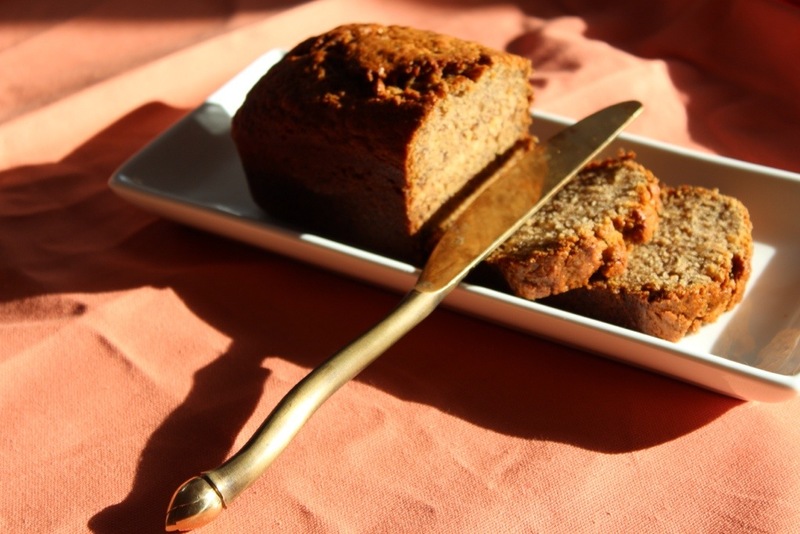 I really love banana bread, never tried with spice. I think it sounds wonderful. Your photo’s are fantastic btw, great lighting. I think it’s worth a try with spices! I was pretty hesitant at first, but it was worth a go. Thanks! When the suns out it’s always nice to get a few pictures! I rarely cook in the daytime these days- soooo busy with work, holidays and life. Your banana looks lovely! The addition of spices sounds so comforting ! P.s. Do you mind sharing how you do that recipe box? Thanks! Thank you! 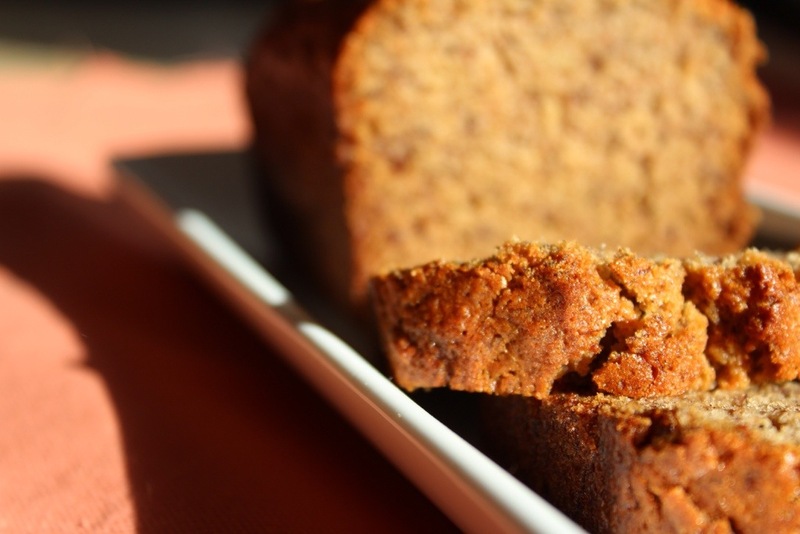 I hardly ever use spices in my baking, but quick breads seem to be such a great thing to experiment with! Thank you for checking my blog out! I will for sure share how I made up that recipe box page – thanks for the suggestion!